1. Carter SM, RogersW, Heath I, Degeling C, Doust J, Barratt A. The challenge of overdiagnosis begins with its definition. BMJ 2015;350:h869. 2. Moynihan R, Doust J, Henry D. Preventing overdiagnosis: howto stop harming the healthy. BMJ 2012;344:e3502. 3. Glasziou PP, Irwig LM. An evidence based approach to individualising treatment. BMJ 1995;311:1356-1359. 4. Mihaylova B, Emberson J, Blackwell L, et al; Cholesterol Treatment Trialists’ (CTT) Collaborators. The effects of lowering LDL cholesterol with statin therapy in people at low risk of vascular disease: meta-analysis of individual data from 27 randomised trials. Lancet 2012;380:581-590. 5. Sundström J, Arima H, Woodward M, et al; Blood Pressure Lowering Treatment Trialists’ Collaboration. Blood pressure-lowering treatment based on cardiovascular risk: a meta-analysis of individual patient data. Lancet 2014;384:591-598. 6. Moynihan RN, Cooke GP, Doust JA, Bero L, Hill S, Glasziou PP. Expanding disease definitions in guidelines and expert panel ties to industry: a cross-sectional study of common conditions in the United States. PLoSMed 2013;10(8):e1001500. 7. Donaldson MG, Cawthon PM, Lui LY, et al; Study of Osteoporotic Fractures. Estimates of the proportion of older white women who would be recommended for pharmacologic treatment by the new U.S. National Osteoporosis Foundation Guidelines. J Bone Miner Res 2009;24:675-680. 8. Roger VL, Killian JM, Weston SA, et al. 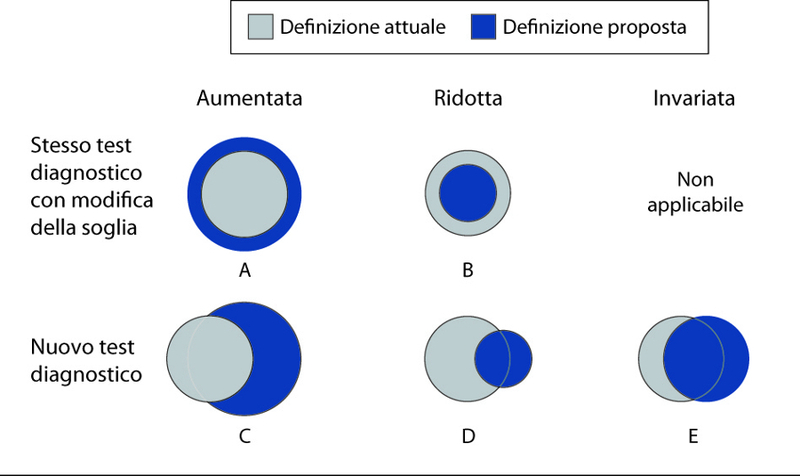 Redefinition of myocardial infarction: prospective evaluation in the community. Circulation 2006;114:790-797. 9. Zhuang J, Liu Y, Xu L, et al. Prevalence of the polycystic ovary syndrome in female residents of Chengdu, China. Gynecol Obstet Invest 2014;77: 217-223. 10. Xu Y, Wang L, He J, et al; 2010 China Noncommunicable Disease Surveillance Group. Prevalence and control of diabetes in Chinese adults. JAMA 2013;310:948-959. 11. James C, Bullard KM, Rolka DB, et al. Implications of alternative definitions of prediabetes for prevalence in U.S. adults. Diabetes Care 2011;34:387-391. 14. Institute of Medicine Committee on Standards for Developing Trustworthy Clinical Practice G. In: Graham R, Mancher M, MillerWolman D, Greenfield S, Steinberg E, eds. Clinical Practice Guidelines We Can Trust. National Academies Press: Washington, DC. 2011. 15. Qaseem A, Forland F, Macbeth F, Ollenschläger G, Phillips S, van derWees P; Board of Trustees of the Guidelines International Network. Guidelines International Network: toward international standards for clinical practice guidelines. Ann Intern Med2012;156:525-531. 16. Moher D, Schulz KF, Simera I, Altman DG. Guidance for developers of health research reporting guidelines. PLoSMed 2010;7(2):e1000217. 17. Glasziou P, Irwig L, Deeks JJ. When should a new test become the current reference standard? Ann Intern Med 2008;149:816-822. 18. Schwartz LM,Woloshin S. Changing disease definitions: implications for disease prevalence. Analysis of the Third National Health and Nutrition Examination Survey, 1988-1994. Eff ClinPract 1999;2:76-85. 19. Tunstall-Pedoe H. Comment on the ESC/ACC redefinition of myocardial infarction by a consensus dissenter. Eur Heart J 2001;22:613-616. 20. Gerber A, Hentzelt F, Lauterbach KW. Can evidence-based medicine implicitly rely on current concepts of disease or does it have to develop its own definition? J MedEthics2007;33:394-399. 21. Lahey BB, Applegate B, McBurnett K, et al. DSM-IV field trials for attention deficit hyperactivity disorder in children and adolescents. AmJ Psychiatry.1994;151:1673-1685. 22. Visser SN, Danielson ML, Bitsko RH, et al. Trends in the parent-report of health care provider-diagnosed and medicated attention-deficit/hyperactivity disorder: United States, 2003-2011. J Am Acad Child Adolesc Psychiatry 2014;53:34-46.e2. 23. Iorio A, Spencer FA, Falavigna M, et al. Use of GRADE for assessment of evidence about prognosis: rating confidence in estimates of event rates in broad categories of patients. 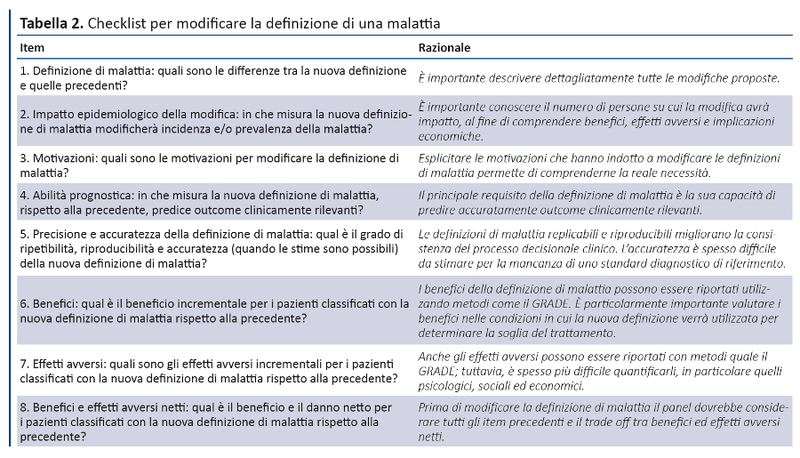 BMJ 2015;350:h870. 24. Liew SM, Doust J, Glasziou P. Cardiovascular risk scores do not account for the effect of treatment: a review. Heart 2011;97:689-697. 25. Lijmer JG, Bossuyt PM. Diagnostic testing and prognosis: the randomised controlled trial in diagnostic research. In: Knottnerus A, ed. 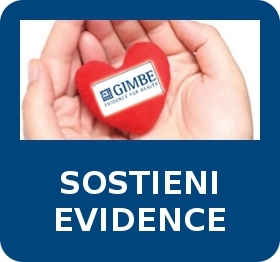 Evidence base of clinical diagnosis. Blackwell Pub: Oxford, United Kingdom. 2002. 26. Yudkin JS, Montori VM. The epidemic of pre-diabetes: the medicine and the politics. BMJ 2014;349:g4485. 27. Noble D, Mathur R, Dent T, Meads C, Greenhalgh T. Risk models and scores for type 2 diabetes: systematic review. BMJ 2011;343:d7163. 28. Beko G, Butz H, Berta K, et al. Switching between parathormone (PTH) assays: the impact on the diagnosis of renal osteodystrophy. ClinChem Lab Med2013;51:1251-1256. 29. Aletaha D, Neogi T, Silman AJ, et al. 2010 rheumatoid arthritis classification criteria: an American College of Rheumatology/European League Against Rheumatism collaborative initiative. Ann Rheum Dis2010;69:1580-1588. 30. Zeidler H. The need to better classify and diagnose early and very early rheumatoid arthritis. J Rheumatol 2012;39:212-217. 31. Ioannidis JP, Tzoulaki I. What makes a good predictor? the evidence applied to coronary artery calcium score. JAMA 2010;303:1646-1647. 32. Ioannidis JP. Is molecular profiling ready for use in clinical decision making? Oncologist 2007;12:301-311. 33. Loke YK, Price D, Herxheimer A; Cochrane Adverse Effects Methods Group. Systematic reviews of adverse effects: framework for a structured approach. BMC Med Res Methodol2007;7:32. 34. Guyatt GH, Oxman AD, Vist GE, et al; GRADE Working Group. GRADE: an emerging consensus on rating quality of evidence and strength of recommendations. 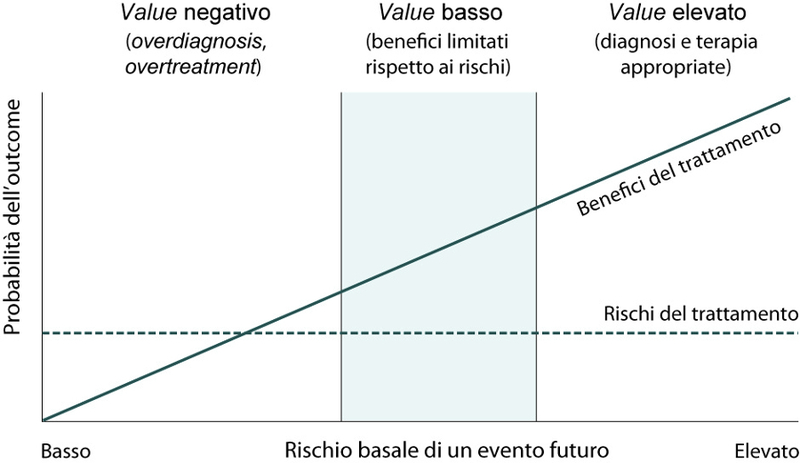 BMJ 2008;336:924-926. 35. Thomas R, Mitchell GK, Batstra L. Attention-deficit/hyperactivity disorder: are we helping or harming? BMJ 2013;347:f6172. 36. Heath I. Waste and harm in the treatment of mild hypertension. JAMA Intern Med. 2013;173:956-957. 37. AlbertMS, DeKosky ST, Dickson D, et al. The diagnosis of mild cognitive impairment due to Alzheimer’s disease: recommendations from the National Institute on Aging-Alzheimer’s Association workgroups on diagnostic guidelines for Alzheimer’s disease. Alzheimers Dement 2011;7:270-279. 38. Aronowitz RA. The converged experience of risk and disease. Milbank Q 2009;87:417-442. 39. Schwartz PH. Risk and disease. Perspect Biol Med 2008;51:320-334.